disseminated to infiltrate our perception of political power in the public sphere? ‘Audacity to Vote’ (Part I) will be screened at midnight on election day, November 4, 2008 at the Bablyon Theater, Rosa Luxembourgplatz, Berlin. 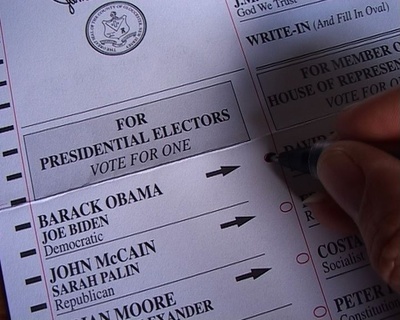 But first a special screening of ‘Audacity to Vote’ (Part I & II) as a work in progress at Art Claims Impulse at 21:00. 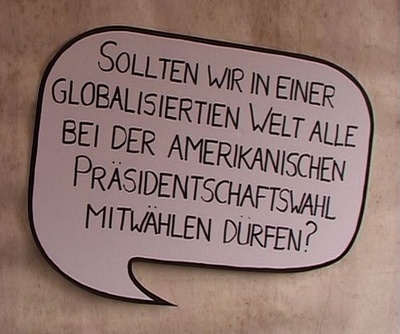 Image translation: In a globalised world shouldn’t all of us be allowed to vote in the US presidential elections?